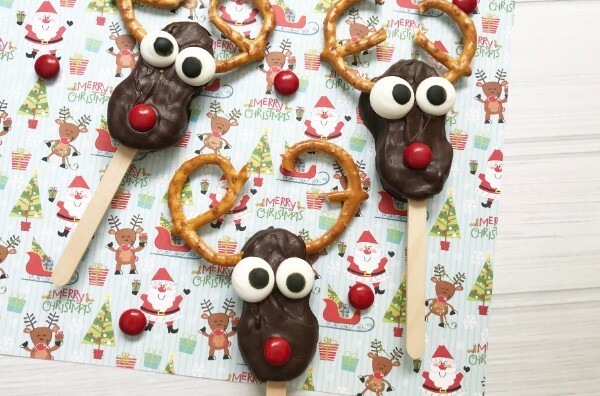 These Nutter Butter Reindeer are a fun and easy Christmas treat. These are perfect treats if you want to skip baking but still put together something adorable and homemade. I’m a peanut butter fanatic so I’m a big fan of Nutter Butter cookies. It turns out they’re wonderful starters for fun treats like these Nutter Butter Acorn Cookies and these Nutter Butter Ghosts. It turns out, they are also easy to turn into reindeer. 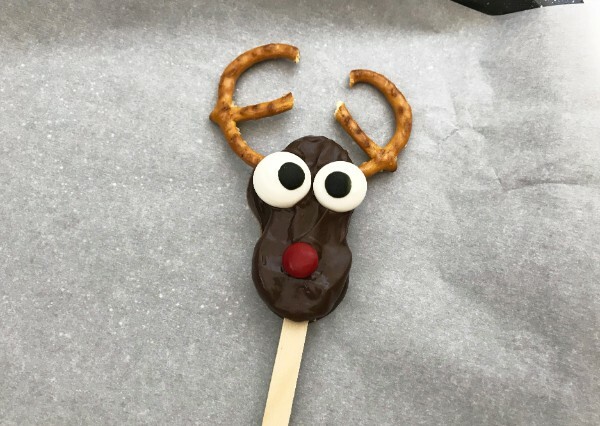 I think these Nutter Butter Reindeer turned out really cute! I’m all about fast and easy. I admire people that are willing and able to spend hours crafting perfect, adorable treats. I’m just not one of those people. 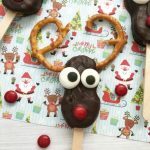 So, my favorite thing about these Nutter Butter Reindeer, aside from how cute they are, is how easy they are to make! First, we separate the cookies. Then, we melt some chocolate candy melts in the microwave. Next, dip one end of a popsicle stick into the chocolate and place it on the Nutter Butter cookie. Place the top of the cookie back on the bottom to seal the popsicle stick in the middle. Do this with all the cookies. 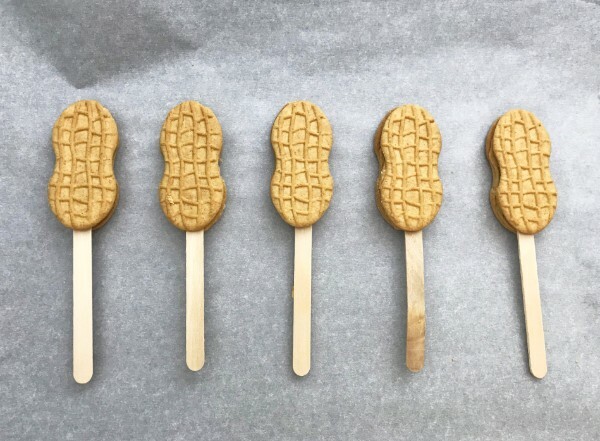 Pop the cookies in the refrigerator for 20 minutes to help the chocolate set and seal the popsicle sticks in place. Now we need to reheat the chocolate so it’s melted again. Take the cookies out of the refrigerator and dip each one into the melted chocolate. 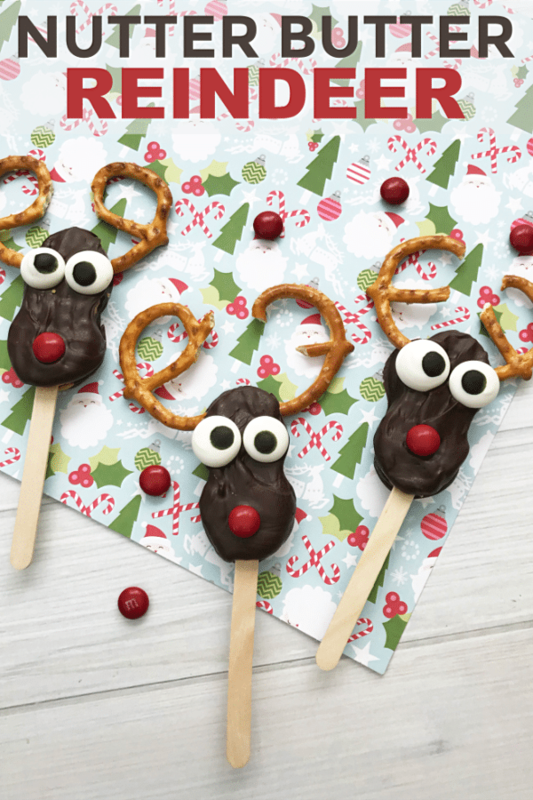 Before the chocolate sets, add two candy eyes, a red M& M candy nose, and antlers made from pretzel twists that have been broken in half. Repeat with all of the cookies. Place them in the refrigerator for 15 minutes so the chocolate can set. Store in an airtight container away from heat, but not in the refrigerator. Nutter Butters tend to absorb moisture and will get soft if you store them in the fridge. Gently separate the Nutter Butter cookies. 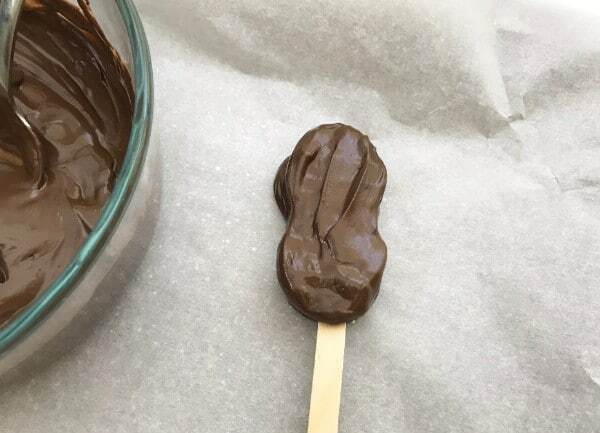 Pour the chocolate candy melts into a microwave safe dish. Heat in the microwave in 30 second increments, stirring until melted. 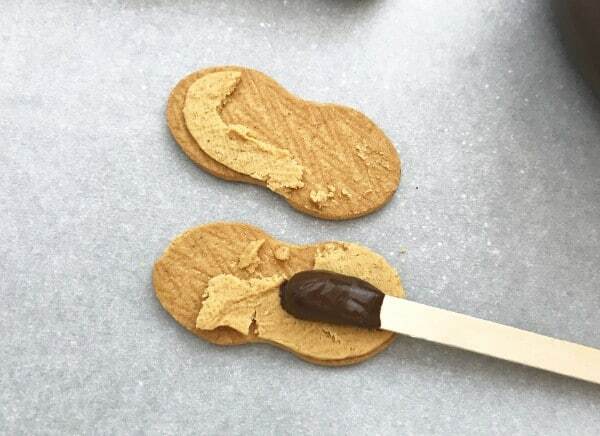 Dip the end of a popsicle stick into the melted chocolate and place on an open Nutter Butter cookie. Place the top of the cookie on top and gently place on the baking sheet. Repeat for each cookie. Place the baking sheet in the refrigerator for 20 minutes. Reheat the chocolate. Remove cookies from the refrigerator. Dip one cookie in the melted chocolate allowing the excess chocolate to drip back into the bowl. Then, place on the lined baking sheet. 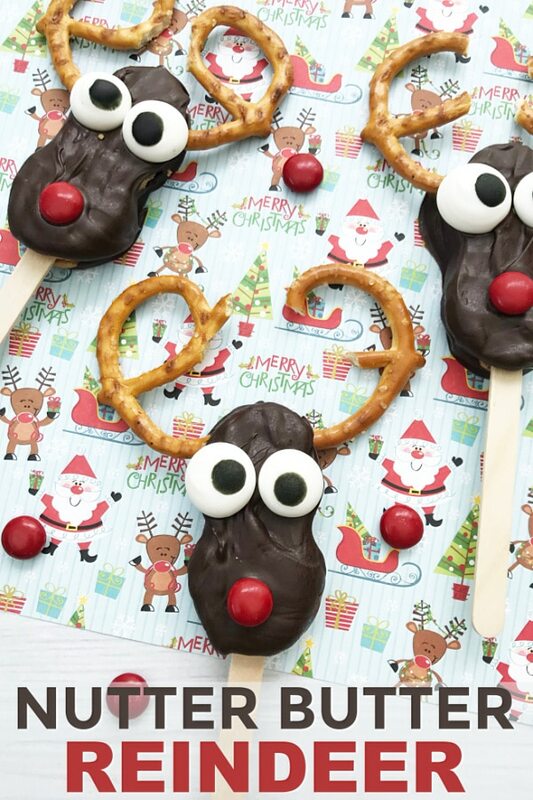 Add 2 candy eyes, 1 red M&M nose and 2 pretzel twist antlers.